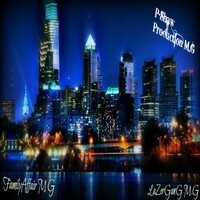 P – Shaw Productions M.G, Featuring Alien 321 & Killa K.I.D. I remember taking road trips as a collegiate; there were specific songs played during the drive – bonding music, if you will. Certain songs played at the nightclubs, that would light up the dance floor – placing the entire club under a groove. And before the night would end, if you were smooth enough, there were songs played to get your honey in the mood. Pole Worker at Night is one of only a handful of songs that hits the trifecta. The contagious hook, psychedelic flow of the lyrics, and mesmerizing beat, combine to eliminate the guilt and song’s graphic nature, allowing the repetition of its hypnotic melody to invade the consciousness, and place the pole worker inside our minds… rather we want her there or not.